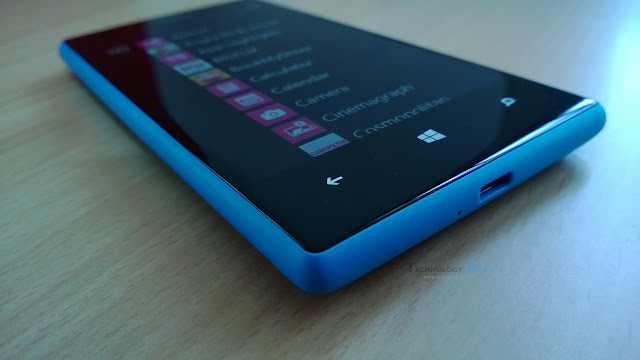 Inside Nokia Lumia 720, Nokia's best Windows Phone yet : lets check it out! As I have already said in the title, Lumia 720 is perhaps Nokia's best effort at bringing the Windows Phone 8 OS's awesome software in line with its own hardware. If you are a true Nokia fan than, you cant expect a better phone then this one! why? Lets check out. The Lumia 720 has a polycarbonate unibody design, just like the Lumia 920, but this one is even better. It is slimmer, lighter and easier to hold. It has a 4.3 inch slimmer bezel as well has width display, making Lumia 720 one of the slimmest Lumia's Nokia has made. The Nokia Lumia is just 9mm and weighs only 128 grams. The ClearBlack display it has, blends splendidly with rest of the phone making it look very sleek and elegant. Check the image above to see what I mean. The Nokia engineers have paid special attention to what goes where in this phone. The feel of the buttons and size is very good and responsive. Thought the button placement is very similar to the other Lumia’s., the buttons in this one don't feel out of touch. There is a microUSB port at the bottom, microSD card slot on the side followed by the microSIM slot and headphone jack on the top. Around the back, we have a 6.7MP camera sensor with Carl Zeiss optics and an LED flash. The speaker grille is at the bottom and is fairly loud for your sound requirements. On the whole it is much better then the expensive Nokia Lumia 820. Lumia 720 has a 4.3 inch IPS display with a 480 x 800 pixel resolution. The ClearBlack technology this phone has, ensures that you can view the phone as neatly as you do indoors. The IPS as always provides good vibrant colours from all viewing angles. As I have already written above the Lumia 720 runs on Windows Phone 8 and has a 1 GHz dual core Snapdragon chipset from Qualcomm. Its 512MB RAM is a little iffy as far a tech specs go when you have to run a memory hungry Windows Phone Apps. This is one area which Nokia has failed to address in this particular phone. That said an done, this piece of engineering makes full use of the Windows Phone 8 advantage to give you breathtaking results. 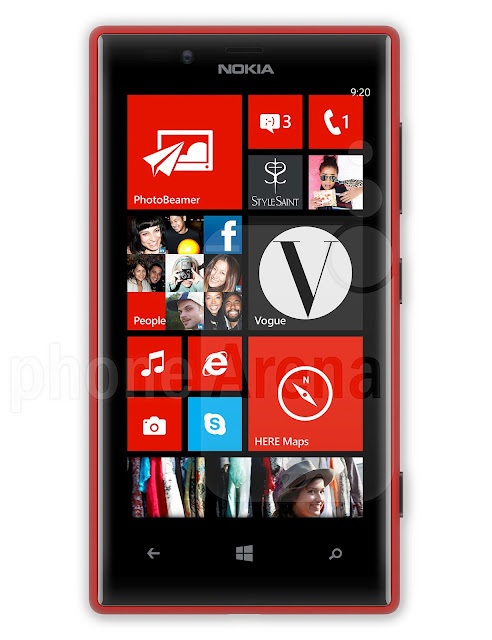 Cost : The Nokia Lumia 720 is priced at Rs.18094.00 on the online shopping portal Flipkart. Overseas it is priced at $304.99.